Thanks to ongoing investments in new technologies and the employment of highly qualified technical personnel, IMAR has consolidated its position over the years. 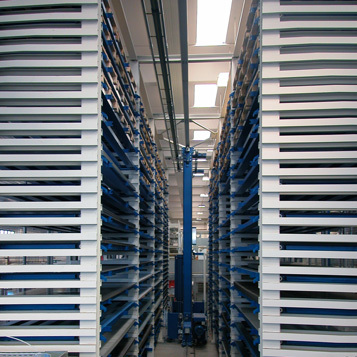 The company’s recently-built facility, with an operation area of 20,000 square metres (7,800 of which covered and used for manufacturing), today makes use of the most modern production management equipment and technologically advanced machinery: traditional and optic fibre laser cutting lines with automatic sheet metal magazine. IMAR was set up as a designer of projects and prototypes for stainless-steel bar counters. Production began of stainless-steel welded-channel tanks. The cold forming of the first steel built-in washbasins opened up a new market. 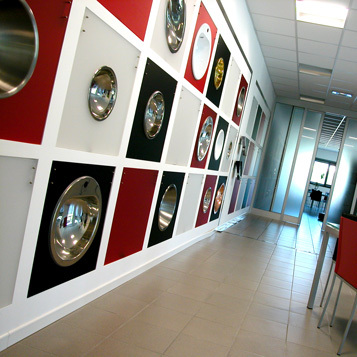 Production moved to the facility in Casino Noci, with a surface area of 1,000 square metres. 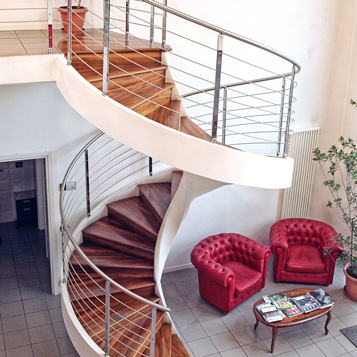 The new headquarters in Trasanni di Urbino covers 2,600 square metres. First CNC machines purchased. IMAR opened up to the international market. The company expanded its machinery with the inclusion of the first anthropomorphic robots for welding and polishing, and set up partnerships with major players in the furniture sector. IMAR became an SRL (Limited-liability company) and increased the number of its metalworking machines. 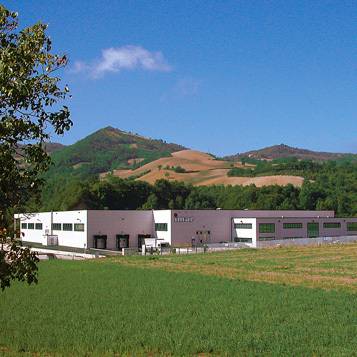 Canavaccio di Urbino facility inaugurated with over 6,000 sq m devoted to production. First automatic sheet-metal laser cutting system purchased. IMAR installed its first automatic sheet metal warehouse, combined with a new laser cutting system and a latest-generation multifunction punching machine. First expansion of the production area to 9,000 sq m. Purchase of a new robotized bending island. In order to expand its range of services, IMAR purchased its first pipe laser cutting system with automatic loading and unloading. IMAR switched to optic fibre and installed its first fibre laser system, expanding the range of workable materials. Bending department strengthened with the insertion of a panelling machine with automatic loading and unloading. The IMAR Charter of Values took shape: principles and objectives of company set out in black and white. Expansion of office area and purchase of new automatic warehouse for tubular products.